While members of the U.S. armed forces receive medical care benefits through the Department of Veterans Affairs, dental care usually isn't included. Veterans receive dental benefits through the VA only if they've been classified as 100 percent disabled, have a service-connected dental condition or have a service-oriented medical condition that's affected by their mouth. Of the more than 21 million veterans across the United States, only a small percentage are covered for the care that's vital for good oral health. Many veterans are unable to afford regular check-ups and cleanings, let alone major procedures. Dentists across the country have taken notice of this indignity, and have begun volunteering their time and skills to ensure that the men and women who have defended this nation are taken care of long after they receive their discharge papers. 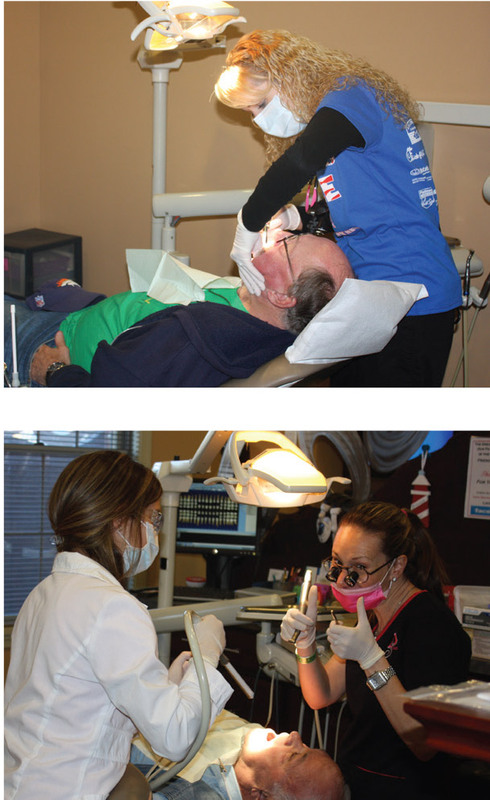 In this section, we introduce you to three such dentists, who explain why they decided to join the patriotic, philanthropic effort—and how you can participate as well, as either an individual practice or part of a nationwide campaign. While serving my country as a U.S. Navy dentist deployed to Iraq with my Marines, I saw firsthand what was occurring to the physical and mental health of our military members. These wars and overseas battles have severely damaged our returning heroes. The common misconception is that veterans qualify for full benefits upon their return from active duty, but U.S. Department of Veterans Affairs hospitals have long waiting times and provide only limited care. Knowing this, I promised that when I finished my military career and moved back into private practice, I would help my fellow veterans. There are approximately 23 million veterans in the United States. 10 percent of veterans are disabled. Veterans make up 33 percent of the U.S. homeless population. About 22 veterans commit suicide every day. For more information about Veterans Smile Day, go to veteransmileday.org or search for the organization on Facebook. If you have questions about how to participate, email deryckp@hotmail.com or ddsusc03@gmail.com. 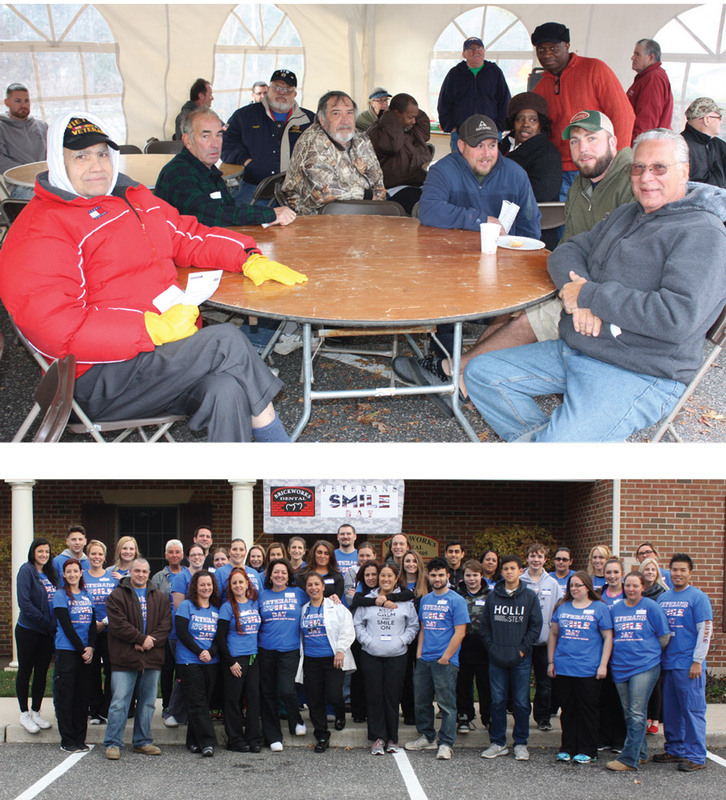 On Veterans Day weekend in 2012, we held our first Veterans Smile Day event, and treated 35 grateful veterans to free services—everything from routine prophies to extractions, and all the way up to root canals. I wanted to help more veterans the next year, so I reached out through social media to recruit more dentists to participate. About 10 offices across the U.S. held their own events in 2013. Inspired by how the program had grown in just two years, I decided to further spread awareness of veterans' dental needs. I contacted a classmate from USC, Dr. Karin Irani, who's active at the ADA. Thanks to her help, Veterans Smile Day became a national event with corporate sponsors, including Henry Schein and Proctor & Gamble. Last year, five different dental societies participated, and the volunteer numbers reached 300. More than 1,500 veterans received care throughout the United States. It has been amazing to see the level of interest and participation increase. The dental community has the opportunity to really make a difference in our country. 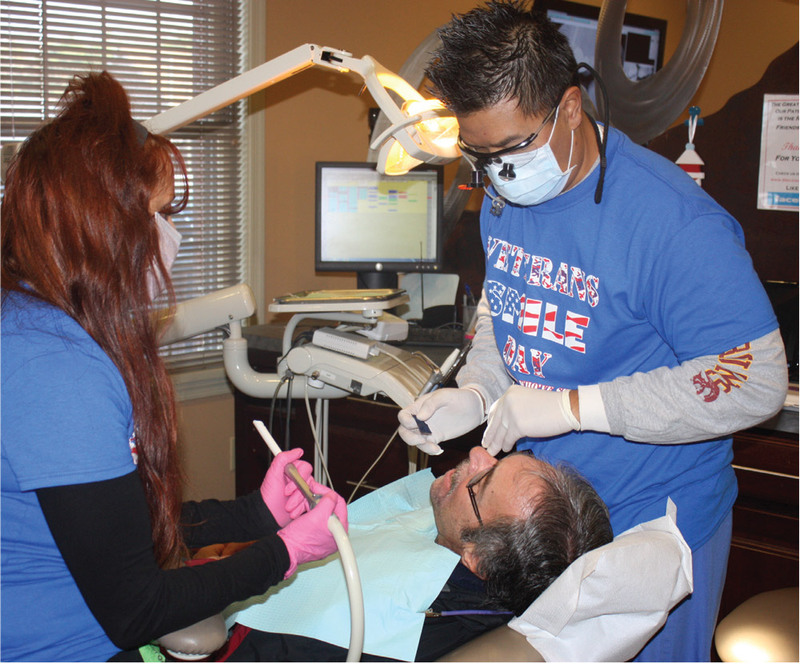 Giving just one day of dental care—which dentists can do by volunteering their time or office for the Veterans Smile Day event—can truly change the life of a veteran. We need to open our doors—and hearts—to this very grateful population that deserves our help. They've kept us safe; the least we can do in response is to show our appreciation by doing what we do best. 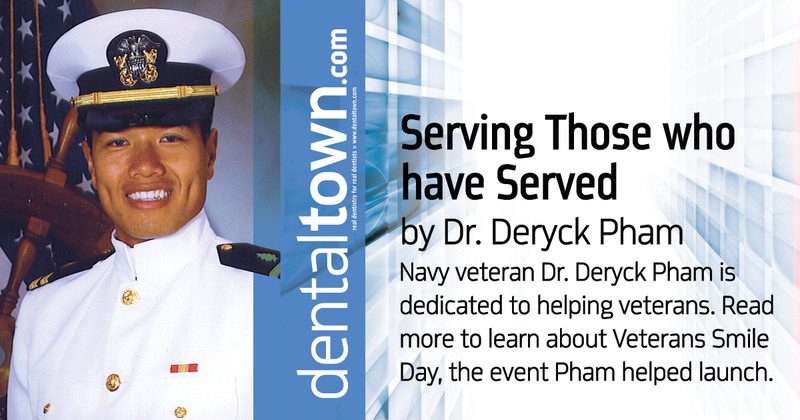 Dr. Deryck Pham graduated from the University of Southern California School of Dentistry in 2004 and joined the U.S. Navy. His first duty station was at Marine Corps Recruit Depot in Parris Island, South Carolina, where he also did an AEGD residency for a year. He was deployed with the medical battalion from Camp Pendleton to Iraq during Operation Iraqi Freedom. 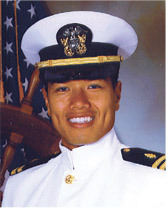 Pham completed his naval career in 2007 and transitioned to partnership in a private practice in southern New Jersey. Pham and his wife, Colleen, have four children. He serves as a veterans advocate and continues to fight for fellow veterans' rights, especially concerning their medical and dental care.